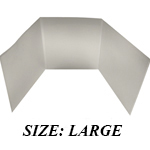 PRICES SUBJECT TO CHANGE: Outside U.S., postage must be added. 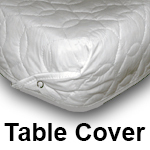 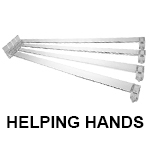 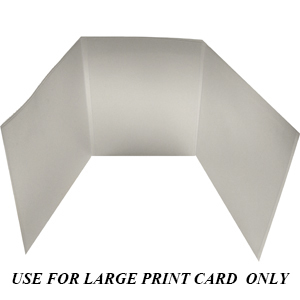 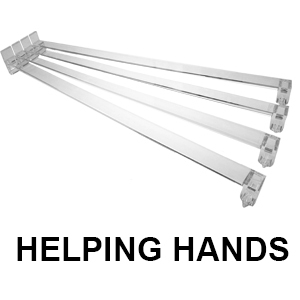 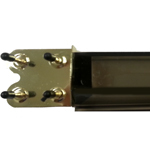 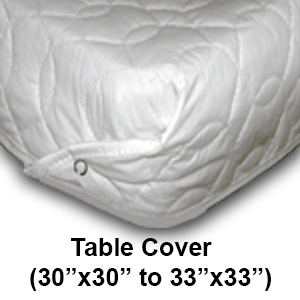 For cost and instructions you will be notified by mail/e-mail. 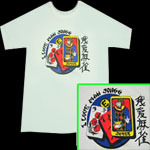 Payment must be in U.S. funds, through a U.S. bank, or U.S. Money Order. 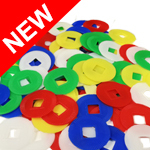 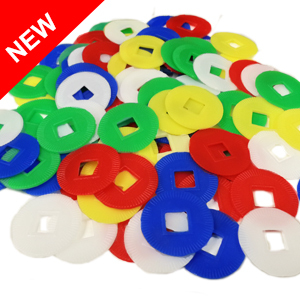 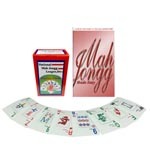 Contain 20 Blue Chips, 20 Green Chips, 20 Red Chips, 20 White Chips, 20 Yellow Chips total of 100 Money Chips. 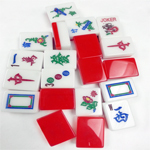 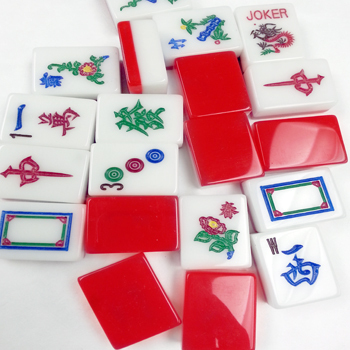 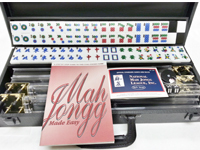 Mah jongg acrylic pushers set of 4. 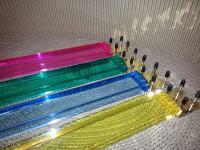 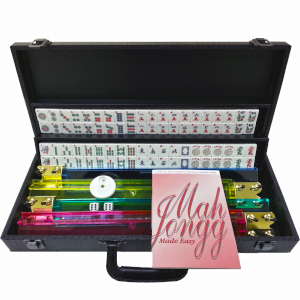 4 COLOR RACKS"PUSHERS NOT INCLUDED"
Mah jongg acrylic Pink,Green,Yellow,Blue colored racks set of 4. 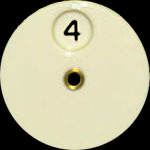 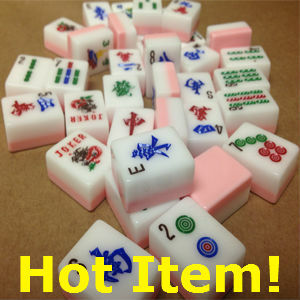 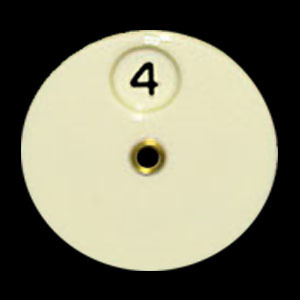 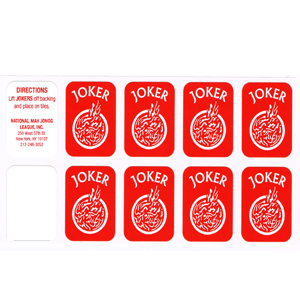 Mah jongg plastic smokey racks set of 4. 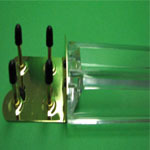 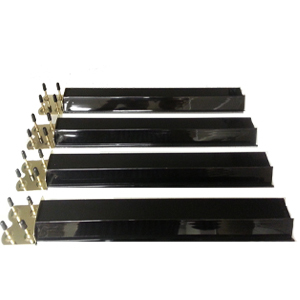 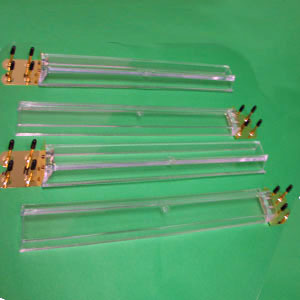 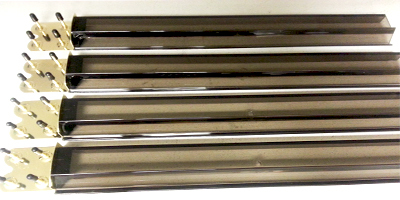 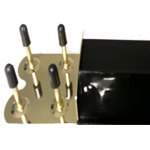 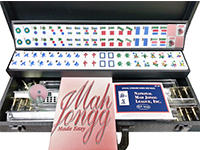 Mah jongg acrylic solid Black racks set of 4. 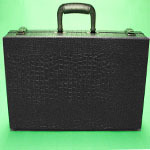 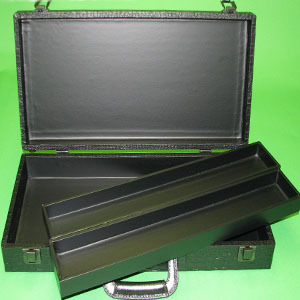 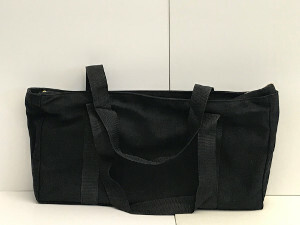 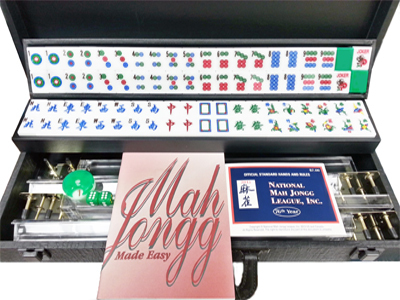 Mah Jongg Carrying Case L:20" H:9"
Include two black plastic trays & two strap wraps COMPATIBLE WITH WHITE TILES ONLY! 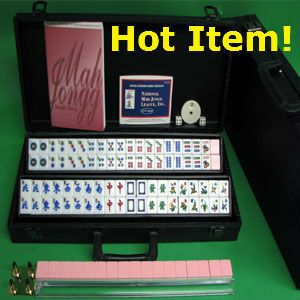 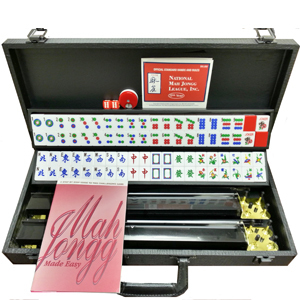 Mah Jongg Set, Non-Fading: Leatherette carrying case, 4 clear racks, instruction book, bettor, current score card. 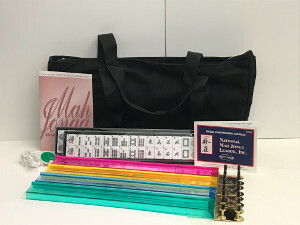 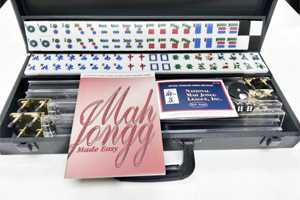 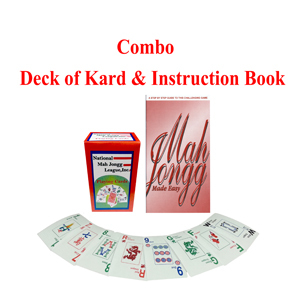 Mah Jongg Set, Non-Fading: Leatherette carrying case, 4 clear racks, instruction book, bettor, current score card..
Mah Jongg Set, Non-Fading: Leatherette carrying case, 4 solid black racks, instruction book, bettor, current score card. 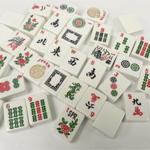 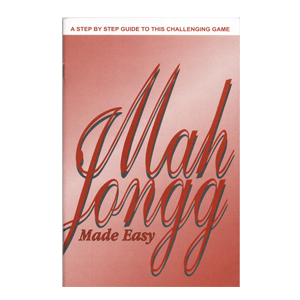 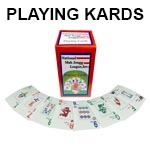 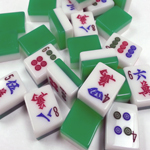 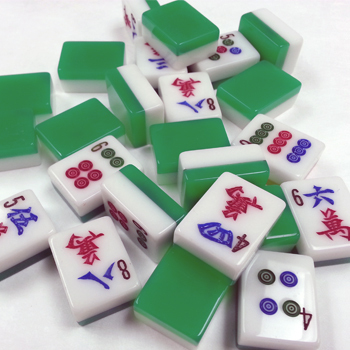 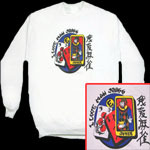 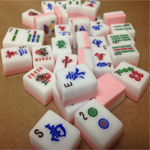 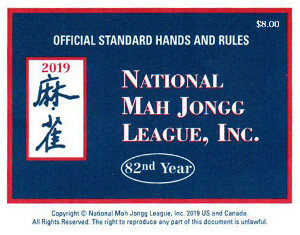 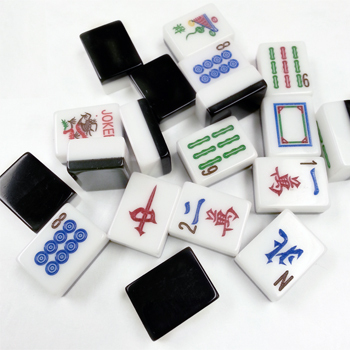 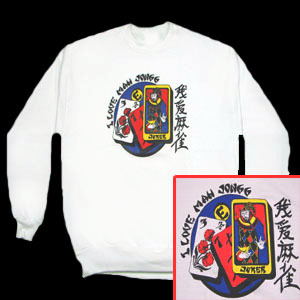 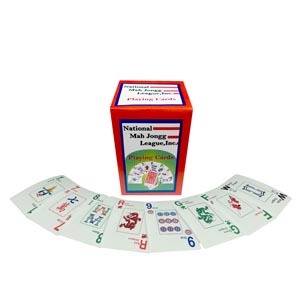 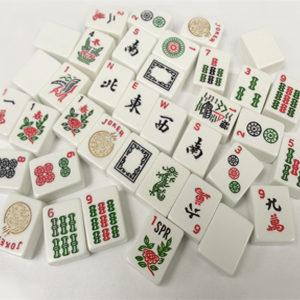 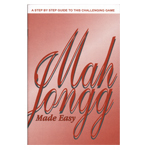 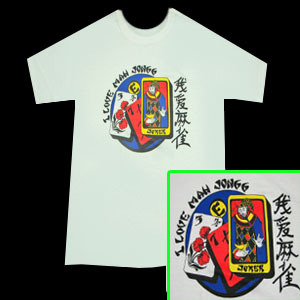 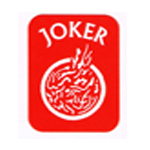 © 2011- THE NATIONAL MAH JONGG LEAGUE, INC.